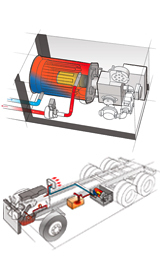 The primary purpose of the WORK READY single closed-circuit coolant-based heating system is to deliver engine preheating. A three position (ON/OFF/TIMER) manual control comes standard. 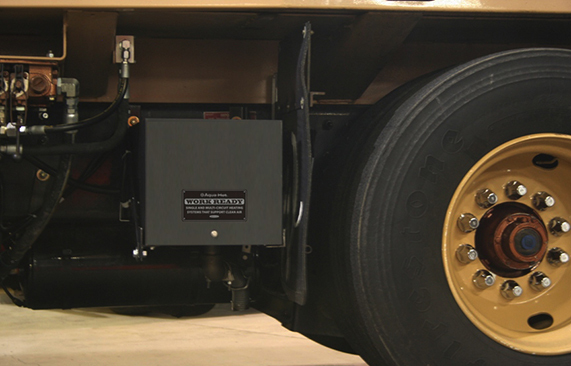 Fleet maintenance personnel are able to set the seven-day timer control for operating stop/start times. In TIMER mode, the thermostat allows operation only when the temperature is below 45ºF/7.2ºC — with no operator interaction. 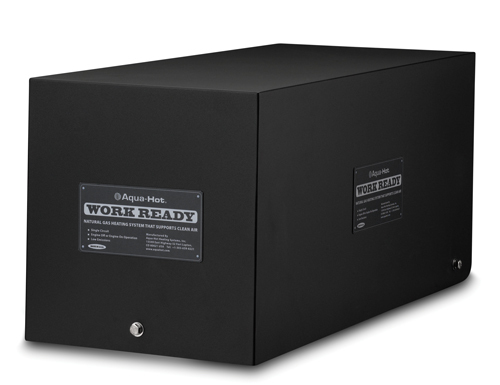 Powerful enough to provide hydraulic fluid heating, as well as supplemental cabin heat for the front passengers with the optional Aqua-Hot Cabin Heater. 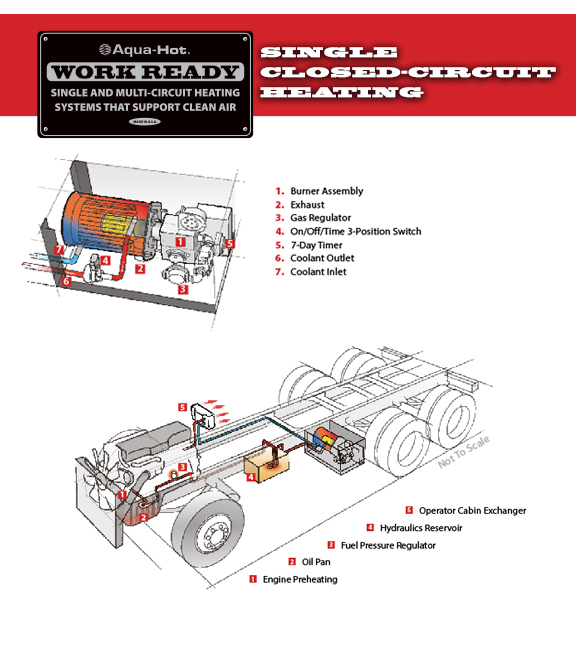 For Natural Gas vehicles, the Single Circuit heater is also capable of warming fuel pressure regulators. All with very low noise levels and low emissions.